Supreme Court allows authorities to initiate criminal prosecution against person causing harm to the elephants and confiscation of the animal. In a major step aimed at cracking down on physical and mental torture they are subjected to, the Supreme Court in a first-of- its-kind-order on Tuesday ordered registration of all captive elephants in Kerala which are mostly used for religious purposes and in the timber industry. The court which has already made it clear that it was determined to elevate animal rights to the level of constitutional rights, is hearing a public interest petition filed by Bangalore-based Wildlife Rescue and Rehabilitation Centre and other animal welfare organisations to ban the use of elephants in religious functions, processions and other events. The bench of justice Dipak Misra and justice R Bhanumathi said registration of the elephants would help in making accountable all acts of cruelty these animals are subjected to, and to fix responsibility. The Apex Court also asked the State's Chief Wildlife Warden to have captive elephants in the State accounted for by using data already available with him for issuing 'declaration of ownership' certificates under Wildlife Protection Act 1972. The bench also put the onus on festival managers, State and district committees, and private owners to ensure that the elephants were not treated with cruelty. The judges said in case of any violation the person responsible like the owner or the mahout will face criminal prosecution and the authorities will have the right to confiscate the elephant. The fact that high stakes were involved in the issue dealt with by the PIL as elephants were a key facet of tourism in the ‘Gods own country’, and huge moolah was involved was evident from the fact that all parties/ respondents involved in the case had fielded top senior lawyers. While R Basant appeared for kerala, former Solicitor General Mohan Parasaran was for Guruvayoor Devaswom Board which had 98 elephants in its “anakotta” or elephant sanctuary. While V Giri appeared for elephant owners, Aryama Sundaram and Sidharth Luthra represented Animal Welfare Board and Wildlife Board respectively. Solicitor General Ranjith Kumar appeared for the Centre and was also assisting the court as an amicus curiae. 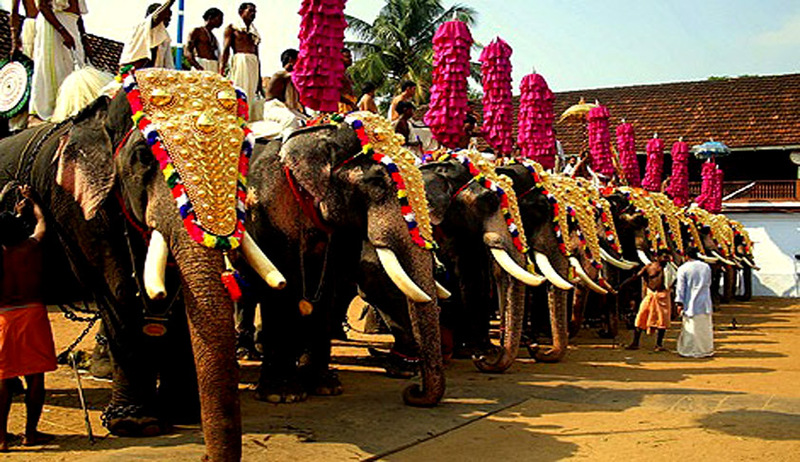 The petition argued by well known animal rights activist and advocate Aparna Bhat, said pachyderms were subject to untold cruelty despite laws over half-a-century old like Prevention of Cruelty to Animals, 1960, which makes it an offence to beat, torture, over-load, chaining or tethering with a heavy or short chain. Bhat told the court that Iit is common knowledge that between mahouts who injure them in the name of discipline, owners who underfeed them, admirers who fail to see their suffering, and an administration that is indifferent to their plight, temple elephants and captive elephants in general have never had it so bad. Initially Basant objected to any move by the court to order registration of the animals saying that as per the act, only “performing animals like elephants or dogs for circus through which money is earned by selling tickets” needed to be registered and not elephants used for religious purposes. Then justice Misra retorted and asked Giri and Basant: “If it is not there in the law then we shall order it. Why are you blocking? why are you so scared of registration”. This prompted Bhat, the lawyer for petitioners to say : “they are hesitant because all the elephants are being illegally brought from outside”. Last year May, another bench of the court which was banning centuries-old ‘jallikattu’ in Tamil Nadu and neighbouring states, pointed out that the ‘untold cruelty’ the bovines are subjected to, favoured elevating the rights of the animals to “constitutional rights”. “The Parliament (is expected to) elevate rights of animals to that of constitutional rights, as done by many of the countries around the world, so as to protect their dignity and honour”, the Supreme Court had said. The court had then directed governments and the Animal Welfare Board of India (AWBI) to take steps to prevent the infliction of unnecessary pain or suffering on animals, saying all living creatures, including animals, have inherent dignity and a right to live peacefully with their well-being protected. It is to be noted that the Centre told another bench of the court that unmanned aerial vehicles (UAVs) and e-eyes should track elephant movement, that constructing ramps and underpasses could allow safe passage, and that reducing the speed of trains running through elephant sanctuaries would protect them from being mowed down by trains. These measures and many more came after the Supreme Court summoned the secretary of the ministry of environment and forests in January, expressing serious displeasure over the quality of the Centre's response to the death of elephants on rail tracks. In response to a PIL filed by Shakti Prasad Nayak, the railway ministry had informed the court that 77 elephants had died due to train hits since 2007.